What caught my eye this year at the gift shows. I enjoy going to gift shows around the country. I look for trends and fun products to report to ASE readers, and possibly indulge in myself! Here are my latest finds. John Robshaw Textiles are block prints from India that include bedding, pillows, tabletop items, curtains, gifts and accessories, vintage textiles, bath items and robes. This new collection supports the commitment Robshaw has always had to supporting local crafts people and preserving traditional techniques. The fabrics he uses are fabulous and the prices are reasonable. August Morgan sells very cute bar accessories and embroidered cocktail napkins. They also sell cotton tunic tops, skirts and dresses as well as pajamas. They also sell wonderful Travel Kits. 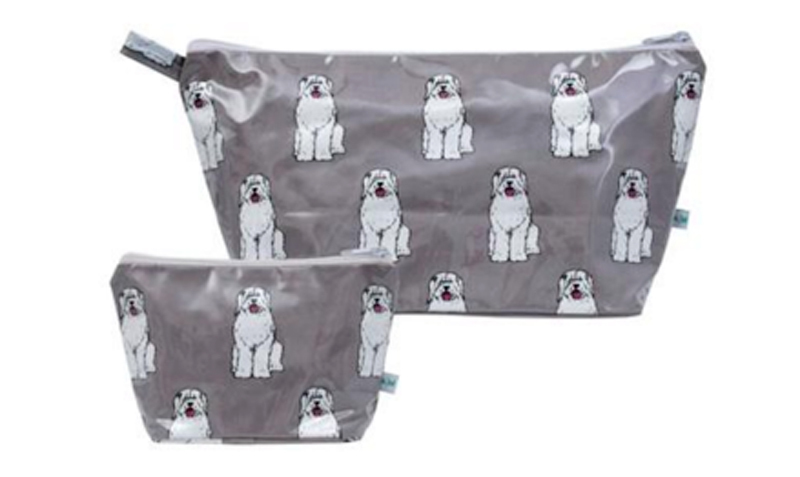 This pair of doggy motif travel kits is $66.00. I love the removable wallpaper designs from Wallshoppe. Removable panels are 27” w x 54” h and $58.00 each. They are made from digitally printed 100% nontoxic eco-friendly paper. They have removable pressure sensitive adhesive backing. The panels have ‘easy peel and stick’ application. 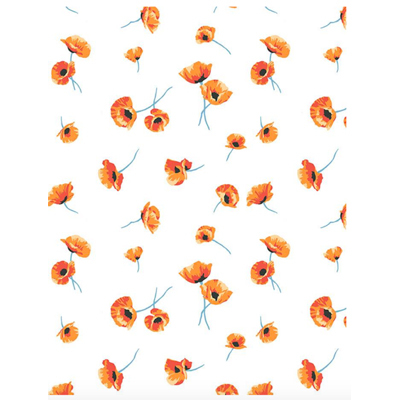 The poppies come in four colors and the plaid comes in five color patterns. I LOVE Dana Gibson’s products. She has a great eye for color and design. She designs posters, wastebaskets, clutches, lamps, desk accessories, ottomans, side tables, candlesticks and trays. 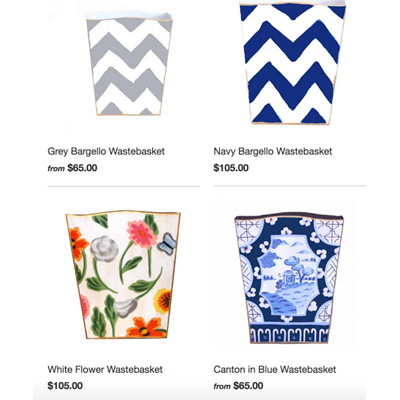 The wastebaskets above are $65.00-$105.00 each. The lamps and lanterns are $495.00 – $545.00 and are gorgeous. 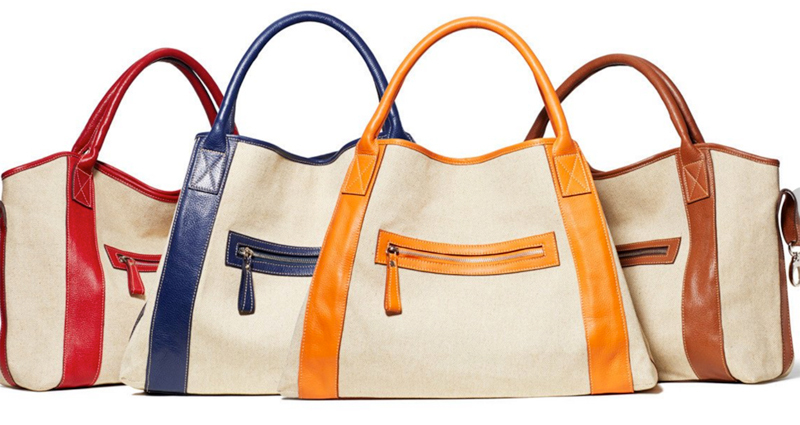 KatieQ makes their handbags from ‘vegan leather’, and the prices are almost too good to be true. I remember I liked several bags, and styles. 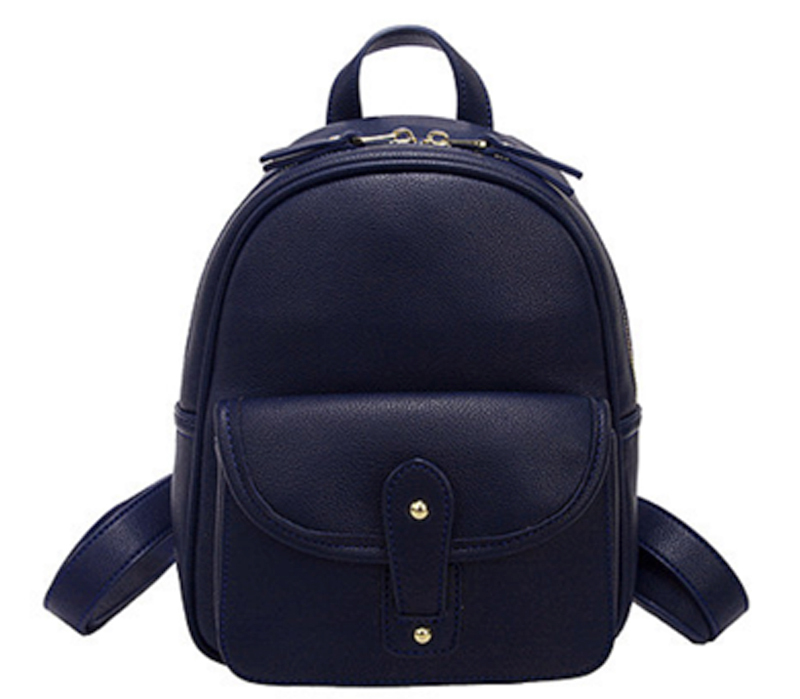 I like this navy mini backpack which measures 8.25” x 5.1” x 10.25” and is $58.00. It also comes in black, tan and maroon. I love mobiles, and Skyflight Mobiles has over 100 designs. On their website click on ‘products’ then choose the theme you want to look at on the left side of the page. The themes are Air, Earth, Water and Space & More. If you want to order, check Amazon which has 20 of the designs, or email them at info@skyflightmobiles.com or call them at 1-800-766-8005. 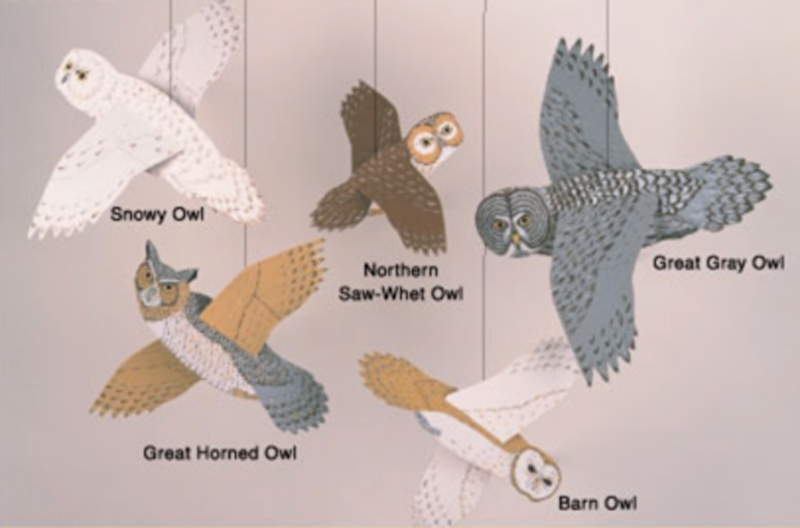 I love the Owls mobile pictured here, $43.00 on Amazon. 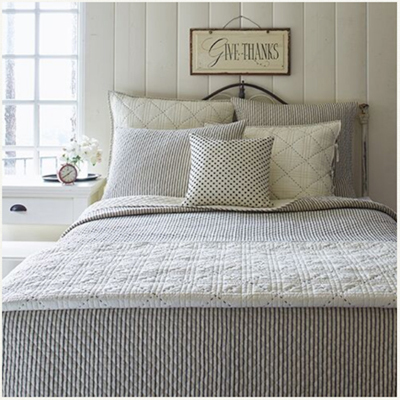 Taylor Linens combines the designs and fabrics of today with the craftsmanship of one hundred years ago. The quilts are 100% cotton and many are quilted by hand, the sheets have 300 thread count and are high quality cotton percale. All quilts and linens are washed, preshrunk and soft to the touch. Taylor Linens sells baby items, bed skirts, curtains, duvets, sheets, quilts and nightwear. I love this Bergen Stripe Indigo Quilt. King size is $348.00. A Soft Idea makes throws in mohair, acrylic, cotton, baby alpaca, faux fur and wool blends. 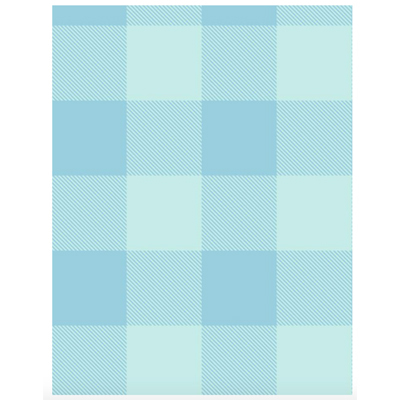 There are tweeds, solids, herringbones, solids with trim, houndstooth and plaids. Everything can be monogrammed. 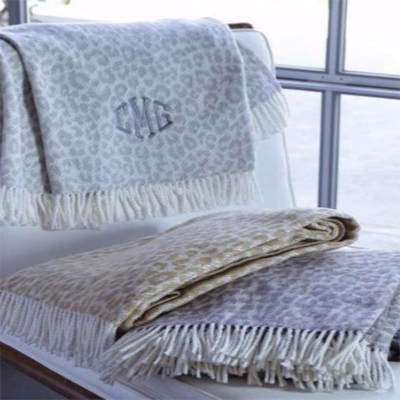 These leopard throws are 55” x 70”, machine washable and $118.00 each. The throws come in five colors. The Magnolia Company has a company farm in central Florida where they grow magnolia trees. Their artists hand manipulate each leaf and stem to turn at various angles to create the wreath designs. 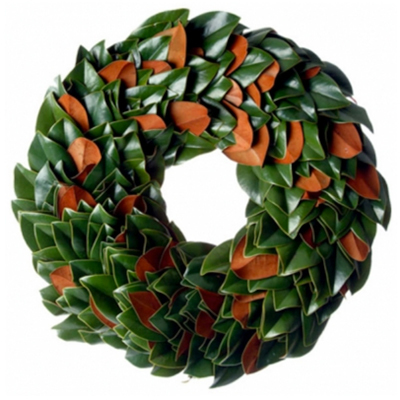 Their wreaths can be only magnolia leaves or magnolia leaves with additional greens. They also make garlands, and lacquer some items so they will last indefinitely. I am partial to the Original Magnolia Wreath, considered a classic. It is $59.00 – $188.00 depending on size. These are some great ideas. Did you see any beach towels you especially liked?